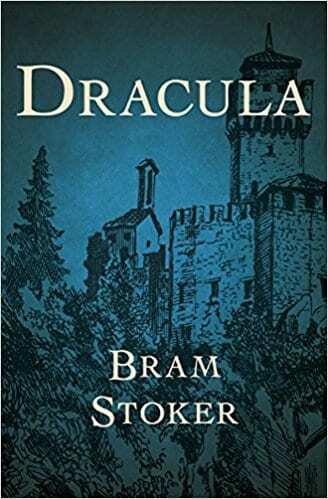 Dracula is an 1897 novel by Irish author Bram Stoker. It is the story of a vampire, Count Dracula’s, move from his native Transylvania to England in the search for victims of his undead curse, and the actions of a group of men and women led by Professor Abraham Van Helsing to combat him. After a very exciting and tense campaign, filled with scenes of bloodcurdling horror, they succeed in destroying the menace. Dracula could have become just another of the many Victorian gothic horror novels that fell by the wayside, never to be heard of again, but the novel caught the imagination of Victorian readers and has not only survived but become a classic, still widely read. Its influence has been immense and its protagonist, Count Dracula, has become one of the most recognised characters in Western literature. His opponent, Van Helsing, is almost as well recognised as he is. The novel has not only been adapted for film, television, theatre and music, but has spawned a whole industry in vampire culture. Whether the vampire films and novels include the actual Count as a character or not, Van Helsing appears in most of them in one form or another. As soon as he appears the readers and viewers all know that they are in for a mighty battle with the vampires. He is a reassuring figure and can be relied on to guide us through the experience and provide us with a successful conclusion. Critics have inevitably classed Dracula as a genre novel but it falls into so many of their categories – vampire literature, horror fiction, gothic novel, invasion literature, crime, mystery, the supernatural – that categorisation is problematic. It is much more than that – a fine novel, dealing with Victorian sexuality, British culture, and more, and, moreover, it is a significant addition to the novel genre in its own right. Although Bram Stoker did not invent the vampire mythology it is his novel that more or less defined it, setting down the rules about the nature of the undead, with his own inventions, such as the vampire’s fear of crucifixes, of garlic, of running water, that it has no reflection in mirrors, that it can turn into a bat, that its blood sucking will turn victims into vampires, and several other rules. These are features we still find in modern vampire stories, although the rules are sometimes subverted by, for example, a vampire protagonist being able to overcome the crucifix phobia. In 1797 the German dramatist, Goethe, published The Bride of Corinth, a poem featuring a bloodsucking woman; the English poet Coleridge produced the chilling story of a lesbian vampire, Christabel. Another Irish novelist, Sheridan Le Fanu, also wrote a lesbian vampire story, Camilla. James Malcolm Rymer wrote a journal serial, Varney the Vampire in the mid-Victorian period, featuring an aristocratic vampire, perhaps a prototype of the aristocratic Count Dracula, in The Vampyre. Stoker was inspired by these stories but, also significant is the research he did into the bloodthirsty Romanian tyrant, Vlad III of the Dracul family, a figure who became the model for the Count Dracula of his novel. Dracula has become a book in which later generations of readers are able to explore any number of secret fantasies. It has inspired countless film and television series makers and in any year there are scores of vampire films released. The vampire has involved into a more sympathetic being in some media, having emotions, and even empathy, with the ability to fall in love – something radically different from the embodiment of evil, an undead monster whose sole intent is self-preservation with no ability to identify with the living human beings it preys on. Dracula’s main influence is that it has placed the vampire at the centre of popular culture with its burgeoning body of works in film, television and fiction, commanding the interest and attention of millions of modern viewers and readers around the world.